We’re releasing updates for three of our mobile apps from today over the next couple of weeks. We don’t have exact dates, because they have to travel through the mysterious internal review processes of the various stores. They range from minor updates to major new features, so keep an eye out for them! 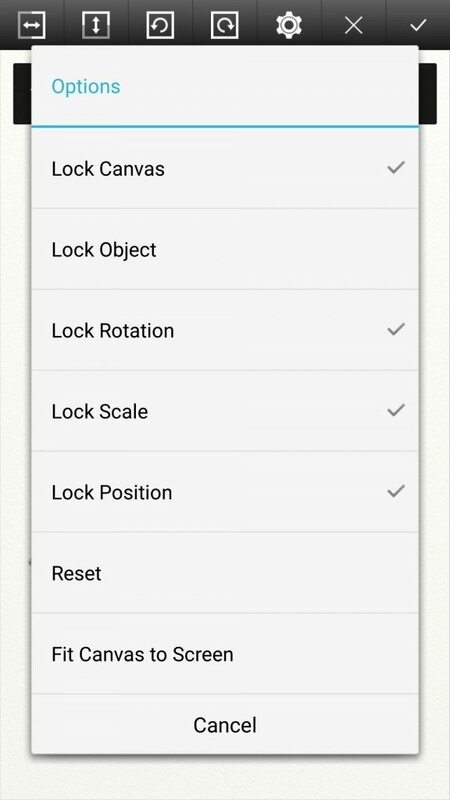 We are releasing two major new features for the Android app – Transform and Scripts – as well as a few minor bug fixes. These features help bring the app up closer to the level of the iPad app, and help users create much more easily on a mobile device. We’ve been working on both of these features for a year, so we’re very glad to finally be able to share them. Also, while we have tested thoroughly, there are always a few odd behaviours and bugs with any major update, so we advise you to save regularly while playing with the new options for the first few weeks. Script Recording allows the entire painting process to be recorded and exported. Scripts can be played back in the desktop versions of ArtRage at larger resolutions for screen recording purposes, upscaling without quality loss and demonstrations. The playback can be paused at any point, allowing artists to experiment with different versions of their work. The ‘Record Script’ feature can be found in the New Canvas screen. Scripts can be exported in the same way as a normal file export. The way ArtRage script recording works is that you are creating PTG files with scripts embedded in them. The Script can then be extracted at a specific time, and will contain all the information up until that point – if you continue painting, you can extra a new, different, script with all the additional painting data. You can’t replay scripts in the app and you can’t export Scripts from an unsaved painting (within the canvas view), you have to go to the Gallery. 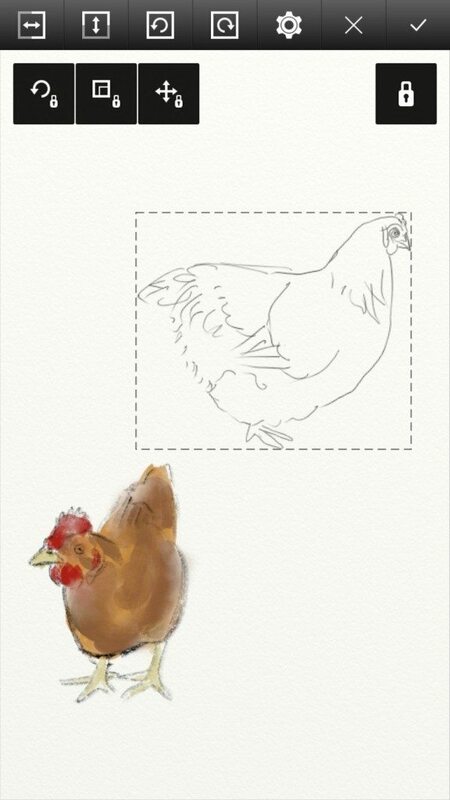 Go to the gallery and preview the painting > tap the ‘Share’ symbol under the image preview > Export/Share Script. 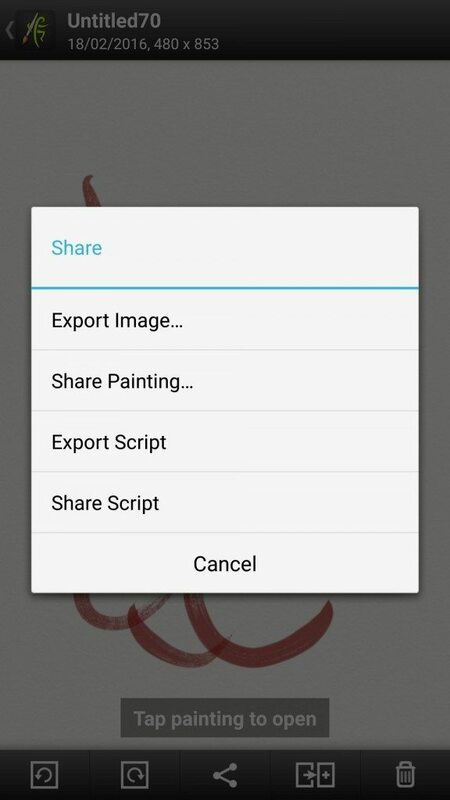 Export will create a script in the ArtRage/Scripts folder on your device. Share will send it via a specific app/service. 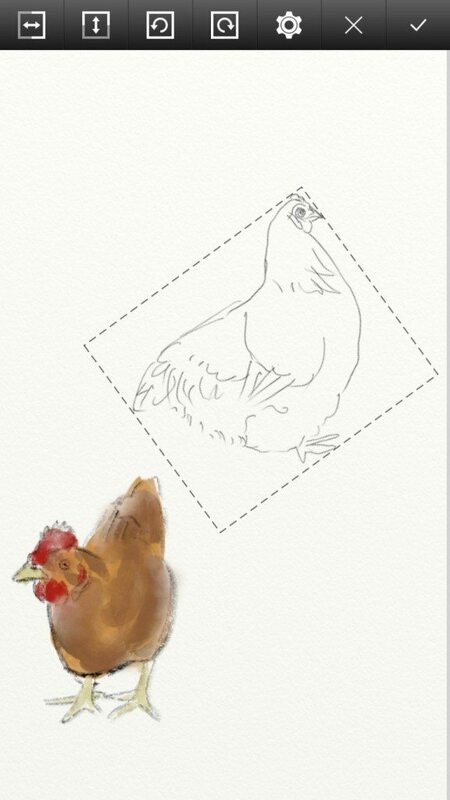 Export the PTG file to the desktop, open it in ArtRage. The script will still be automatically recording and can be stopped and saved (exported) at any point. Scripts work the same was as in the iPad app: Turn on ‘Record Script’ when creating a new painting, and every stroke you make will be recorded. Export your finished scripts to your device, or email them directly to yourself so you can work on them on the computer later! Layer Transform allows individual layers, or the entire painting, to be moved, flipped, scaled and rotated. It includes locks for each variable to allow perfect control. The Transform Layer option can be found in the Layers menu, under the menu options for each layer. 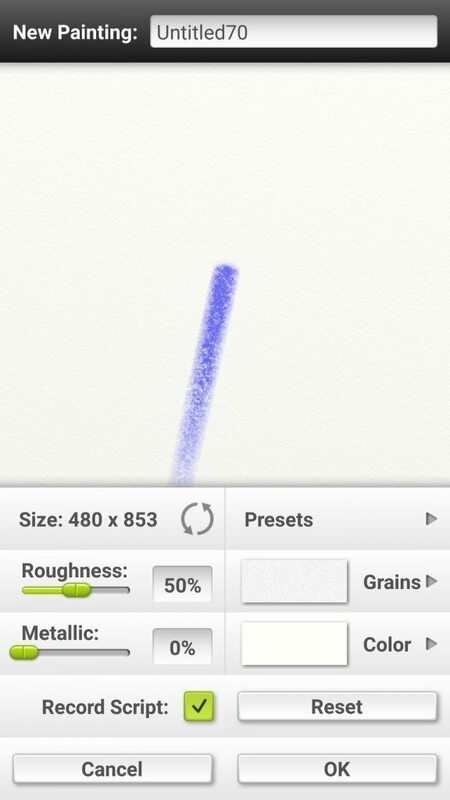 You can make use of the many different Transform Locks to make it easier to edit your painting. Active Transform Locks show up as icons along the top and can be turned off again by tapping the icon. On the Play Store immediately for some users, in the next few days for everyone else. We’re not rolling out the update to everyone in one go because we want to make sure nothing breaks, but will be publishing it to everyone as soon as we’re sure we don’t need to fix anything major. This update fixes a crash on opening the Settings panel after changing tools in Windows 10. We apologise for how long this has been a problem, unfortunately it was very hard to track down. It will be available as soon as it has been approved by the Windows App Store. We’re not quite sure how long this will take. This update includes some continuing refinements to the major changes we made last year, based on user feedback, as well as improvements to pressure handling with the Apple Pencil. Improved pressure response for Apple Pencil on iPad Pro. Reduced instances in which ArtRage would force the painting to save before Export in the canvas view. Fixed a bug that caused exporting PTG to iTunes to remove the PTG from the gallery. Fixed a bug that caused Tap and Hold Sampling to trigger unless the input was moved a very long way when zoomed in close. Updates for mobile apps will install automatically unless if you have disabled auto-updating, or your device is not connected to the internet. To compare the different apps, visit the Product Comparison page. To purchase our mobile apps or desktop software, visit the ArtRage Store or search for ‘ArtRage’ in your preferred app stores.